It all started out beautifully. 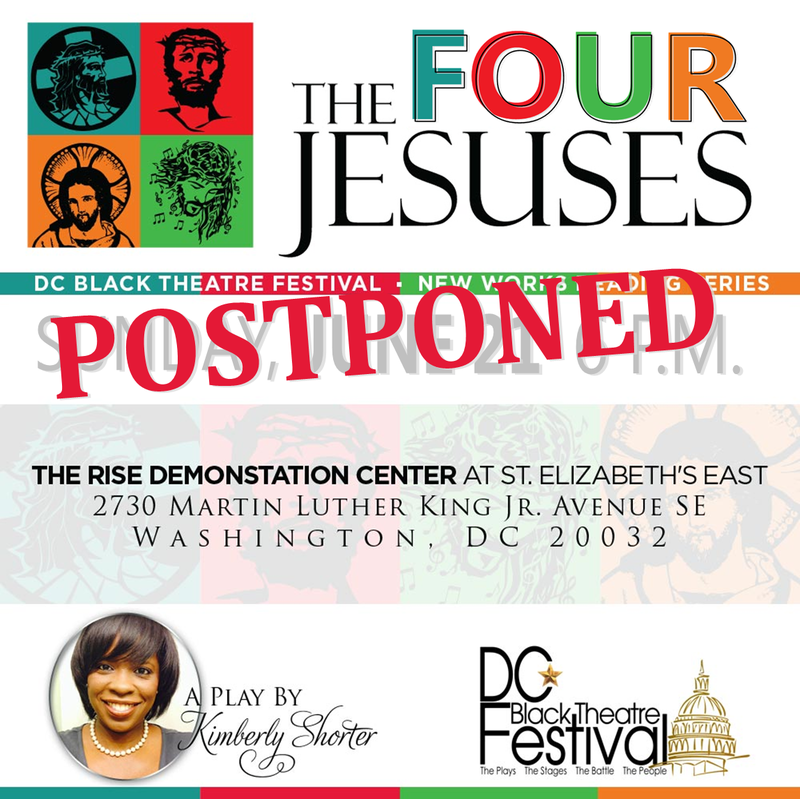 I submitted my two-act play, The Four Jesuses, to the DCBTF earlier this year. I was delighted to learn that the DCBTF chose my little play to be in the DCBTF’s 2015 New Works Reading Series! Being a first-time playwright, I was excited to have the opportunity to share my work with the theatre community. I have been writing all my life. Poems, short stories, essays…you name it, I’ve written it. Writing a play has been something that I’ve wanted to do for some time, and finally I had. The process of putting on a play is new to me. I was looking forward to learning about auditioning, the workshop process and what it takes to produce a play. I was excited, energized and inspired. Over the past few months, I have been on a roller coaster ride with this festival. 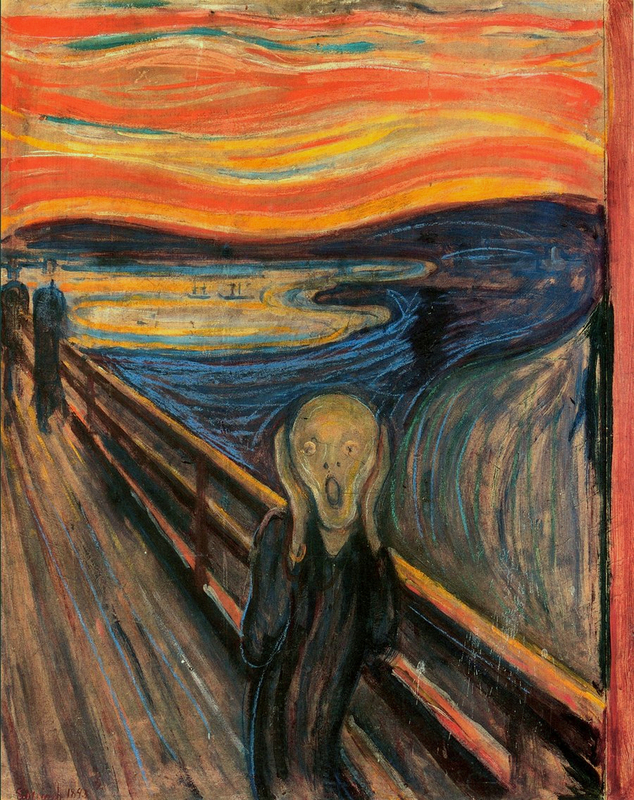 My flier, logo and other promotional materials never made it onto the festival website, and no one could confirm for me the actual start time for my reading. There’s so much more I could say, and so much more proof of the foolery and ninja nonsense I have had to deal with, but I won’t get into that. I am trying to temper my words and not lay blame, but it’s hard, especially when my reputation — which is vested in this — is at stake. Everything started to unravel at warp speed yesterday when I went to the venue for a site visit. 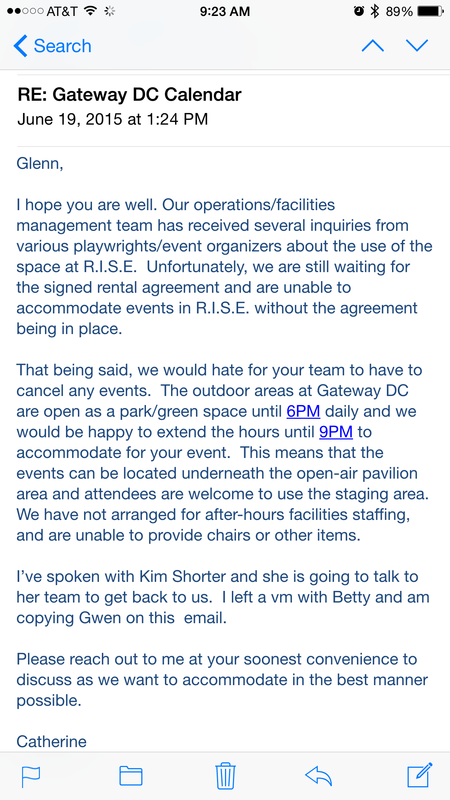 The RISE Demonstration Center’s facilities staff advised me that they did not have a signed contract from the festival organizers, even though my fellow playwrights and I were given a schedule of dates and times for our readings. The Executive Director of the Center called me, very apologetic, and told me that without a signed contract from the festival organizers, they could not allow us to use the facilities. She graciously offered to allow us to use the outdoor pavilion instead. However, there were four readings scheduled for the same two-hour time slot on Sunday, and they’re calling for rain. So multiple readings taking place in the outdoor pavilion in the evening…in the rain? There are too many things that could go wrong with that scenario. According to some playwrights, they have gotten word from the organizers that everything’s a go for Sunday. As of this writing, I, personally, have not received such confirmation. The past 18 hours have been the most stressful and disappointing in my life. Multiple attempts to contact festival organizers have yielded nothing. And thus, after talking to my talented and supportive cast, I have decided to postpone my reading. I do not want to put anyone in any sort of physical, legal or other kind of jeopardy. I am working on scheduling an independent reading, and as soon as I have preliminary logistics locked down, I will let you all know. I thank all of my family, friends, colleagues, fellow writers and my new friends in the DMV theater community for their love, encouragement and support. To Tawanza Anthony, Johnnie Leon Hill, Rikki Lacewell Howie, Melanie Burwell, Teneisha Brown, Quentin Briscoe and Albert Prater Jr.: Thank you for believing in me and my play to want to invest in my dream. I am humbled by your talent, dedication and support. I woke up this morning hating my hair. That was after I stayed up until 3 AM looking at length check videos on YouTube, crying. Yes, crying. My hair and I have had ski rmishes, battles and wars over the past three decades.As I struggle with trying to be natural (meaning my hair is free of any chemically-altering product), I cannot seem to find a style or a state that both my hair and I can be happy with. I’ve always had thick hair. But I have had trouble trying to achieve a decent length. To me, length + thickness = happiness. Is that too much to ask? I don’t think so. I mean, I’ve done it before at least once in my life. Until November 2009 I was on the creamy crack, getting my hair relaxed every four to six weeks. Not only was this habit expensive (as is any drug habit), it was frustrating. I have very thick, coarse, coily hair (classified as Type 4 by natural hair care experts). My hair tends to grow fast (except for when I want it to…like now), so after a month I had enough new growth to require a touch-up. Any reputable cosmetologist would advise against getting a touch-up within the four-week window. The chemicals applied to the hair and scalp are potent enough to burn and cause injury, so why anyone would subject themselves to that on a frequent basis is beyond me. I say that now because I was blind, but now I see. Me and my long hair in May 2008. I used to call my hairstylist du jour every month like clockwork looking for a fix. Most times, the hairstylist would oblige and give me a touch-up. Some of the slick, savvy ones would coax me into letting them do a really good press-out of my roots. But there was one who wouldn’t let me have my way: Charles. It took a few years for me to realize what Charles was telling me was the gospel truth. But I still couldn’t divorce myself from the notion of needing a relaxer in my hair. 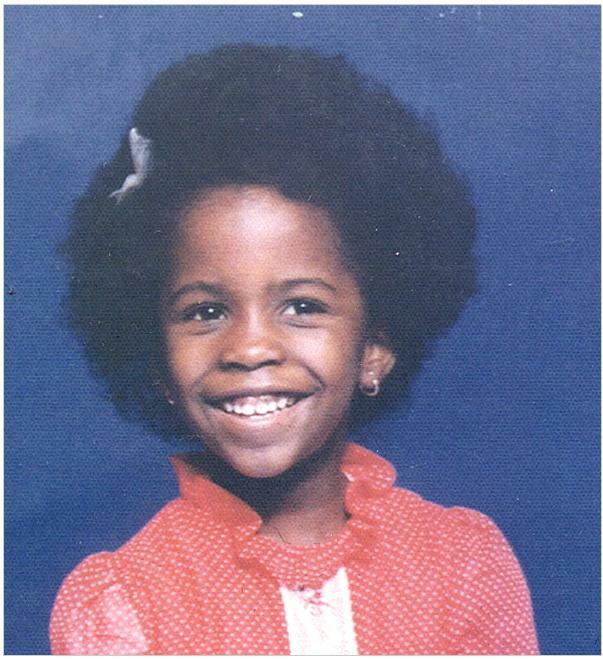 At the time, my hair hadn’t been in its natural state since I was in the second or third grade. I had kiddie perms when I was younger, and even yes, the dreaded Jheri Curl. It seemed that my hair behaved better when it had chemicals in it. It would lay straight or hold a curl, or on occasion, bounce and behave. In my sophomore year of college I discovered the wonder of fake hair. For $9.99 I could get a clip-on or a drawstring ponytail, and for another $2 I could get a jar of hair gel to slick my hair back. I rocked a fake pony for most of the school year, washing and slicking it down every week. During that time I found that I didn’t need to relax my hair as much. That spring after the weather broke, I grew tired of the clip-and-go look. I relaxed and washed my hair one day only to discover that I had shoulder-length hair! You couldn’t tell me anything. That’s when I started showing off, curling it, pinning it up, trying to be cute. And my hair, like a hostage desperate to escape, broke off strand by strand and jumped ship. Pretty soon, I looked like the before picture in those Dr. Miracle ads. Two years ago when I was planning my wedding, I wanted to have long, luscious, Rapunzel-esque hair on my big day. As every bridezilla would do, I brought my stylist du jour, Kia, a picture of the exact updo I wanted. Kia didn’t like it. At the time I couldn’t figure you why she was so resistant. But the day before my wedding, I realized she couldn’t do an updo to save her life. She created some crazy-looking geometric sculpture that was bogged down with enough hair pins to short circuit the metal detector at the airport. At my rehearsal dinner, my little sister and maid of honor Shani, said she couldn’t take it anymore and started trying to dismantle the Leaning Tower of Weave-za. My cousin Bridget aided in this heroic effort. They knew what the hairstyle needed to look like and tried their best to restyle it. Shani got my old beautician, Dawn, on the phone at 10 p.m. that night and explained the situation. Dawn told Shani to get me to the salon at 6 a.m. the next morning to redo my hair. She created the hairstyle I envisioned without even looking at the picture in my bridezilla binder. Dawn is simply gifted. She reused tracks from the Leaning Tower of Weave-za and with a lot less bobby pins, made me look beautiful. (Dawn is my other Top 2 hairstylist). I haven’t had a touch-up since. Since then, I’ve been terribly disappointed by the lack of hair growth when I’ve worn my hair out. I expected to have at least chin-length hair. Instead, it’s probably about the same length as it was when I stopped getting relaxers. (Before you even ask, yes, Virginia, I do trim my ends. )I had been trying to reason with my hair and take better care of it, but it chants on top of my head incessantly, “Hell no, we won’t grow!” All I want is enough hair to rock a decent-sized curly Afro, or to wear a bob if I choose to press it out or blow it out every now and then. Instead, my coarse and coily hair continues to rebel. Fast forward to last night. 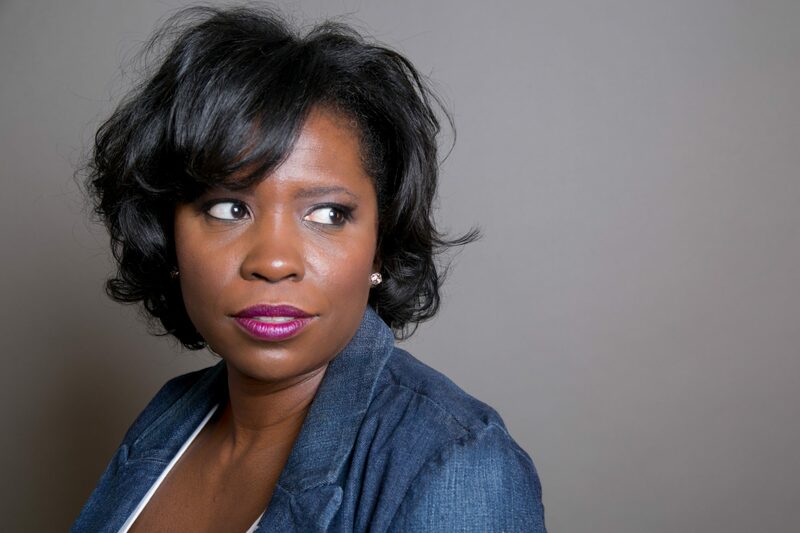 I was contemplating my next hair move, and so I did what any tech-savvy black girl would do, I went to YouTube. I started searching for “length check, two years” as I felt that would give me a good gauge of where my hair could/should/would be. Big mistake! I watched video after video of natural sistahs stretching their curly tresses down to their chins, to their shoulders and backs. I started crying, “why won’t my hair grow like that?” I felt like such a failure. That’s the first thing in a long time that we’ve agreed upon. RHOA, we have a problem. This is a post I’ve been wanting not to write, but I could resist the urge no longer. It goes against the very purpose of my blog, which is to be a place of inspiration for writers and breakfast food lovers. There isn’t anything writerly about reality TV. Besides, there are enough blogs out there that focus on reality TV. In any event, I’m suspending my writerly posts for this very special announcement. I watch the Real Housewives of Atlanta on Bravo faithfully. It’s one of my guilty pleasures. Until recently, I was free-flowing with my RHOA commentary on Twitter. In fact, some of my wittiest tweets were borne out of some of the more ludicrous scenes on RHOA, Celebrity Apprentice and Top Chef (pea purée, anyone?). I’ve long subscribed to the theory that reality TV is not totally 100% real. If anything, I think it’s 10% reality and 90% ratcheted-up drama. Let’s admit it. Most moments in our everyday lives are not TV-worthy. We wake up, send children off to school, drink coffee, sit through boring meetings at work. We eat. We tweet. We watch TV, talk on the phone, watch the caller ID. We go to the bank, the cleaners, the grocery store. We drive. We walk. Laugh. Cry. Yawn. Sleep. And then we get up the next day and do it all over again. Of course, there are moments that are sprinkled in those monotony of the day that are so incredible, drama-filled, or humorous that they would make for great TV. So to think that every week for eight or twelve or however many weeks that a Housewives season lasts, that there are so many of these incredible TV-worthy moments to fill an entire season. I’m sure there is a team of producers behind-the-scenes who look at these women’s lives and ratchet up the drama enough to make us want to tune in. I mean, who really would want to see one Housewife at a social event when you could actually watch all the Housewives at the same event bickering, shouting, cursing and shoving? Stuff like that is a ratings goldmine. Watching this week’s special RHOA episode “Law By Sheree”, I was so irritated that I was talking back to the TV. For those of you not caught up on the latest RHOA drama, housewife (rather divorcee Sheree Whitfield) recently decided to take her ex-husband – former pro-footballer Bob Whitfield – to court for failing to pay child support. Leading up to the court date, we’ve seen Sheree driving fancy cars, carrying expensive designer bags, and sporting impeccable fashions. Her children, meanwhile, are sleeping on air mattresses on the floor of their Atlanta apartment. (The apartment arrangement are temporary, I presume, as Sheree has been seen on-camera talking to her contractor about plans for her Chateau Sheree…more on that later.) I can’t help but find it interesting that Sheree, who says in the RHOA open that “I like things that are elegant and sophisticated” just like me”, would be in such a predicament. 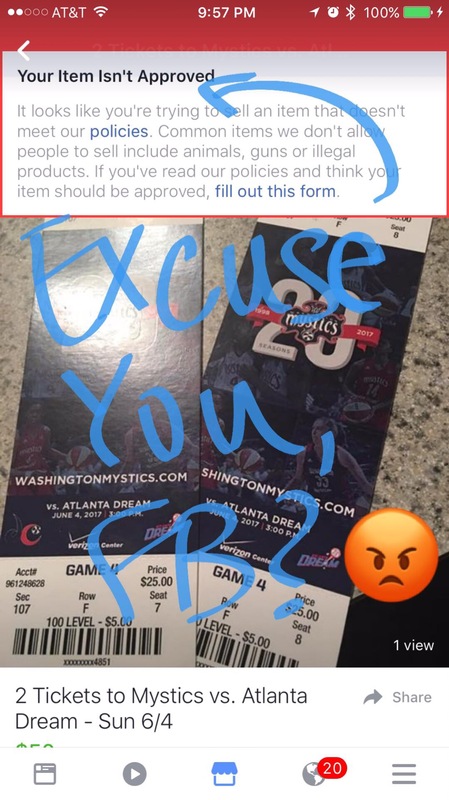 What the ham sammich is wrong with people? If you watch the show closely, you cannot believe everything that you see. Most of this foolishness is staged. Orchestrated. Choreographed. If you watched Tuesday’s ep of RHOA and believed that Sheree was the innocent lamb going up against Bob, the big, bad, evil ex-husband, then you need to change the brand of crack that you’re smoking. The Atlanta blogs (written by bloggers with a different insight into the RHOA ladies’ personal lives) paint a much different picture than the one that unfolded on the screen last night. Chances are, Bob really isn’t the deadbeat that Sheree has made him out to be. But Bob as a good father wouldn’t make for good TV. There has to be drama, conflict, tension, tears. What better way to show that than through court proceedings? Yeah, so I know what you’re saying, if you have such a problem with RHOA, then why do you watch? You have your guilty pleasures, so let me have mine, okay? Bad writing makes you do this. The Bulwer-Lytton Contest, which was started by San Jose State University professor Scott Rice, celebrates (in jest) bad writing gone horribly wrong. 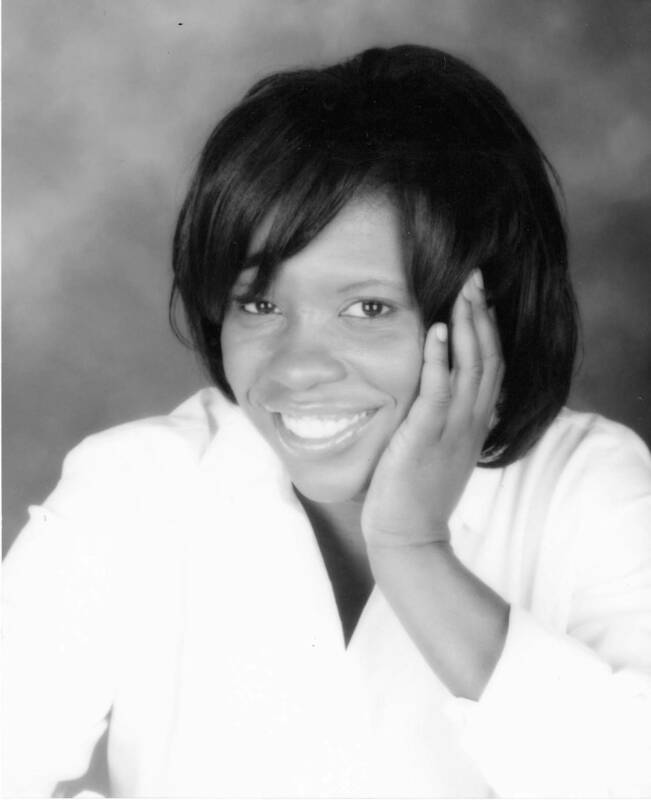 Fondrie, a professor at the University of Wisconsin, has been included in the “Lyttony” of past years’ winners. You can check out their horrifically wretched sentences, many of which will have you laughing, crying or cringing…or maybe churning your mind like the vanes of a wind-powered turbine.